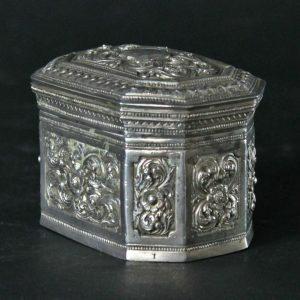 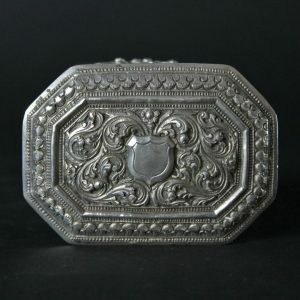 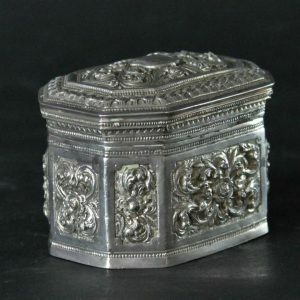 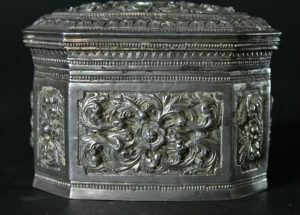 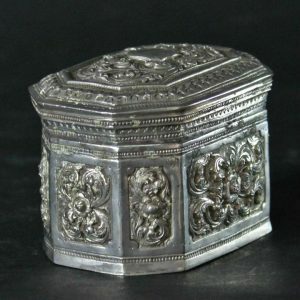 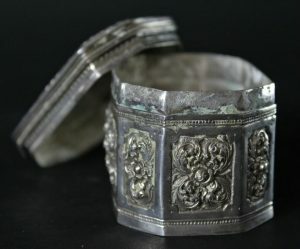 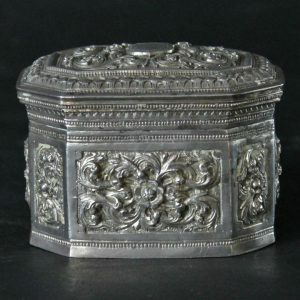 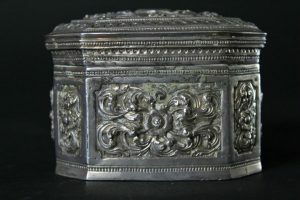 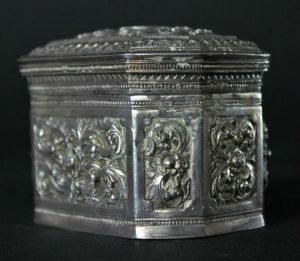 Very beautifull late english infuenced silver box from Burma from around 1900. 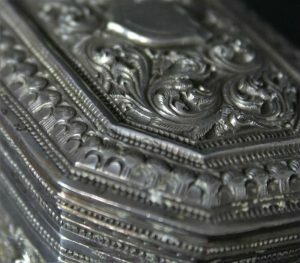 From a Seri set (bettelnut chalk box. 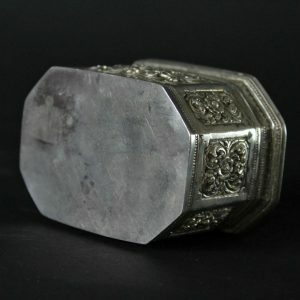 There is still some chalk inside). 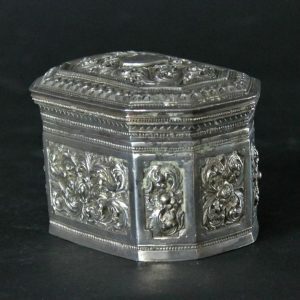 It has no silver mark but it might be not the full 925 but close.